First, a couple iPhone shots from inside the Orange Workshop/Showcase (Maybe the world’s smallest store). We’re usually here on weekends so come by and say hello. If we’re in back we can’t hear so call us and let us know you’re stopping by. We’ll make a fresh pot of coffee. A portable display case I put together for the Hippodrome smalls. A shot inside the showcase. Lori assembling Bondorella’s brakes with Bomonster support. 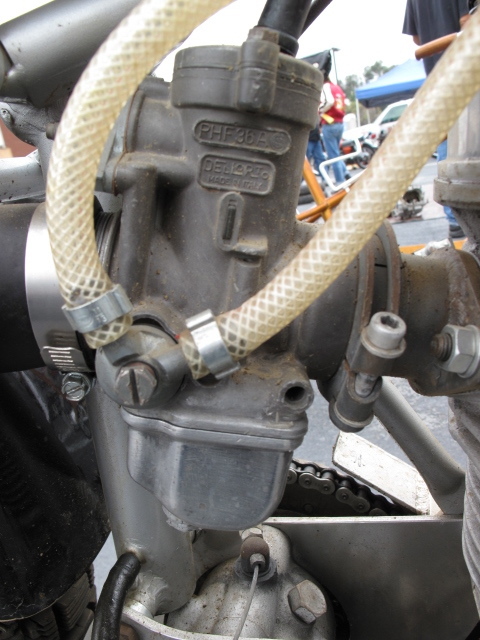 I’m still looking for the Dell Orto carburetor pictured here. This was the only one I found but it was attached to a bike. The good news it appears the old Jawa Speedway is worth more than I thought! Here’s Lori with the only surviving Fonzi bike from Happy Days. Bud Ekins built it and sold it to his friend Marshall Ehlers many years ago. It’s to be offered at the Bohnam’s auction at the Petersen on November 12th. 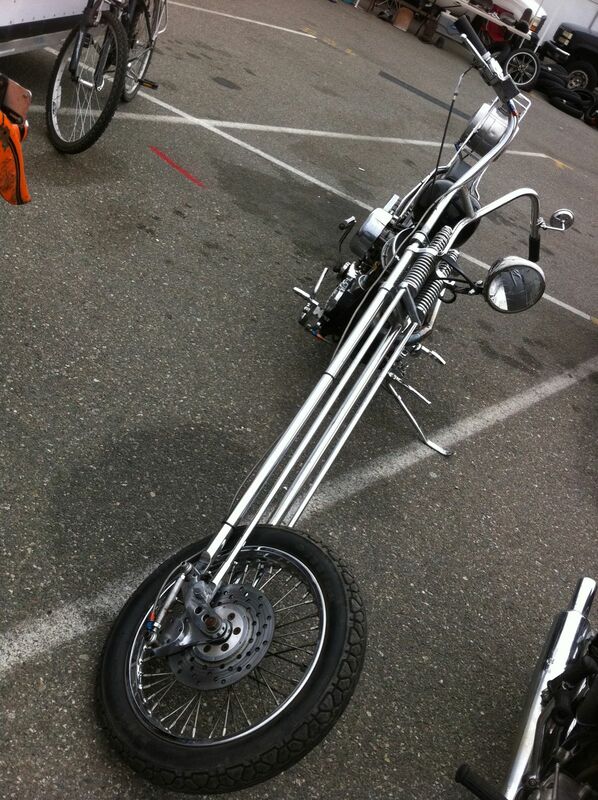 This long bike was at El Camino and Long Beach this weekend. It has a Moon auxiliary fuel tank on the sissy bar. We’re hitting the road next week for a little Route 66 adventure. We aren’t sure where we’re going but Winslow’s probably in the picture. Cool bracelets. Looks like a fun trip. Hey Alicia! I couldn't figure out what bracelets you were talking about, then I figured out you were referring to the Jeff Decker stuff, and now I totally see it! They're actually a shift knob and two belt buckles, but we needed a way to snap them down in the case so Brian made the leather straps! I think we better clarify. Thanks for checking in!